There are some names which just keep surfacing in the story of racing, certain phone numbers you keep ringing for first-hand comments. One of our office 'quick-dials' is a Lincoln number; call it and you're speaking to the unassuming man who put Colin Chapman right on a few things; who could design a race-winner in a trice; who created the most beautiful racing car ever. He has been part of plenty of racing stories; this time it's Len Terry's turn to be at the centre. With his record you'd expect a deeply technical background. Not so. He went straight from school at 14 to be an office boy for a theatrical agent in the West End of London. Instead of meeting Fangio and Farina, he was mixing with Ivor Novello, George Formby and Richard Tauber. In these wartime years his workmates were quickly drafted and Len was promoted by default. Very soon he was handling the promotion side, creating his own posters, slides, montages. "I cannot remember a time when I couldn't draw — I was born with it," he says. But he also had a passion for cars, visiting Crystal Palace and Brooklands. 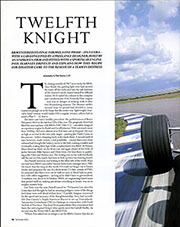 "I decided, aged 12, that I would both race and design racing cars. My dad said that I would never make a living out of drawing, and I decided to prove him wrong." After his own stint in the RAF, Terry became a draughtsman. 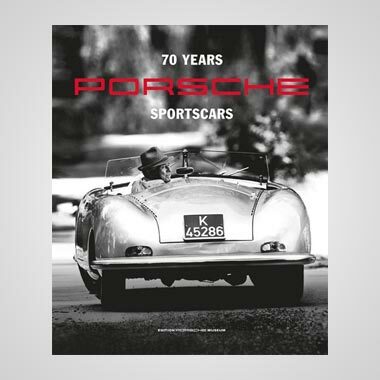 He soon found the 750MC and, in 1955, bought a special, the JVT, which he raced for five years — and "never won a thing!" 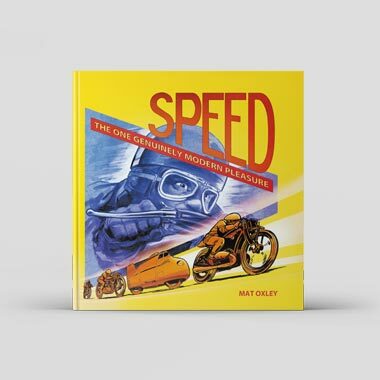 At the same time he was devouring every book he could find on chassis design — and sending designs for a British Formula One car to the magazines, which led in turn to some technical illustration work for Autosport. Moving to a contract design company finally pushed Terry into the car world: "I was farmed out to Aston Martin, where I drew up the notchback version of the DB2/4, and then to ERA, which was investigating a small road car: a rear-engined, aircooled rival to the Mini." A spell at Falcon Shells, who made striking GRP bodies for mundane underpinnings, gave him some suspension experience before he was swept into the mainstream with a move to Lotus in 1958. 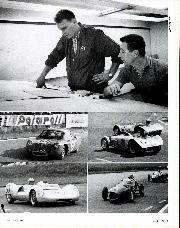 His interview with Chapman was brief: having designed a spaceframe to replace the JVT's chassis, he took along a model. This was so stiff Chapman couldn't twist it; he was in. Within two months he was chief draughtsman. And he wasn't overawed by the great man. "I don't think Colin was a particularly good automotive engineer," says Terry. "This was spelled out to me when he explained how he worked out his steering geometry; when I explained my way, he said, 'Right, we'll do it your way'." So Terry set to work to revise that aspect of a whole slew of models — the Seven, 11, 12, 15, 16, 17 and Elite. On the track he was no more successful with his own new car, Terrier Mk 1 (which he and his wife had assembled in their front room), but he teamed up with Brian Hart for the Mk2 and, in 1959, Hart won 18 out of 21 events entered — including the Chapman Trophy. Inevitably, people wanted copies of this Lotus Seven beater, and Terry decided to build them. It didn't go down well with the boss, who fired him. The new venture was not long under way when Sid Greene asked Terry across to Gilby, which had big plans. Len handed Terrier over to his partners and, by 1960, was designing a slippery FJ for Hart and a swooping sportscar for Gilby: "I always felt that I had an eye for line, and that most of my cars were good looking." 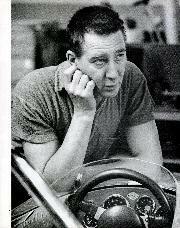 By 1961, Terry was working on Gilby's Fl car — "and don't forget, this is only three years after my first 1172 design". He shows me its slim shape, with swellings for elbow room. "We took it to Goodwood for testing, and Bruce McLaren and John Cooper were there with the new Fl Cooper. Bruce spent all day improving his lap times; then we asked if he would try our car. He did four laps and got within half a second of his best with the Cooper. But we never got a top driver to race it for us." "I didn't want to go back," admits Terry. "Colin and I came from different planets. We admired each other as designers, but we were not on the same wavelength. He didn't appreciate my sense of humour, and I didn't appreciate his lack of one. What got me back was that he was doing an Indycar. Since a kid I'd been keen on Indy, and by 1962-3 it was obvious that Indy design had been stationary for some years. I felt that, by adopting a Formula One approach, it should be simple to win it. "Colin gave me all I wanted. He laid down a scheme for the 29 and I drew it up. I was also doing the 27 [FJ version of the monocoque 25] and sorting the Cortina's rear suspension, which Colin copied from my Terrier. But he had copied the unsuccessful mods my partners had made, so I had to alter it." Soon the friction sparked again. Asked to do a body for the pancake-flat 30, Len also wrote two pages of criticism of the chassis; Chapman ignored him because his design was cheap to build. Just in case Terry is in danger of sounding arrogant here, history is with him. The rear-engined Indycar almost took Jimmy Clark to victory in 1963, but frustratingly placed second when the Indy authorities delayed black-flagging Pamelli Jones' oil-spewing Watson roadster. 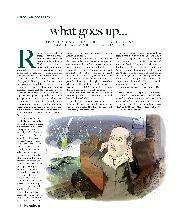 Len is forthright — "We were cheated" — but he had other aggravations, too. "Although I went over there, I had to take four wheels and suspension as luggage, and Colin had me on a helicopter out before the race was finished, claiming there was urgent Fl work. There wasn't; he just didn't want to share the glory." He's a straightforward sort of bloke, Len Terry, and he doesn't like to be messed about. The 1964 Indy attempt failed, too — tyre problems on the Type 34. And why? "Because they didn't have time for tyre testing. And the reason for that was that, whereas I had worked all hours on the 29, because of Colin's attitude I didn't work the hours the next year, so the car was behind schedule. It cost him the race." 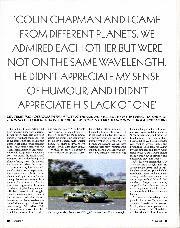 For 1965, Chapman gave him carte blanche with the car, but he didn't get to the race: "I'd already arranged to go to Dan Gurney to do an Fl car, and my Lotus deal finished just days before Indy, so I wasn't invited. But I was confident the 38 would win." Which it did. During 1964, Gurney had asked Chapman for a 19 sportscar to take a Ford V8. 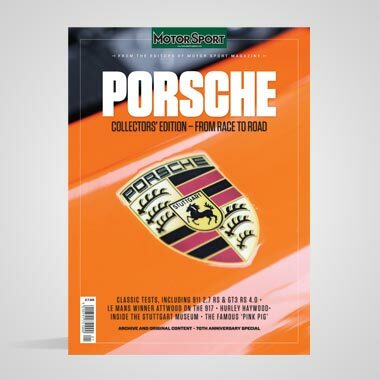 Colin handed the job to Terry, starting a connection that led to the immortal Eagle, that beautiful machine which we have discussed at length in these pages (MOTOR SPORT, September 2002). Once that memorable project had run its parallel courses in Fl and Indycars, it was another American who scooped up Len's talents. Carroll Shelby wanted a Can-Am racer for 1967, and Terry teamed up with Elva's Frank Nichols to supply a V8 mid-engined beast to replace Shelby's 'King Cobra' Cooper-Monaco. This became another orphan child: Len was 6000 miles too far away to help sort it out. Meanwhile, Tim Parnell, watching BRM struggle with the fated H16, had another job. Could Len build a simple Tasman car to use the reliable BRM V12 sportscar engine? That successful marriage was the 1968 P126, a rapid response which, translated to Fl, saved BRM's reputation from sinking in the mire. With a reputation for being fast and good, and available, Terry usually had several jobs lined up. The next came from John Wyer, keen to B4 back up the ageing GT40 and continue his Le Mans streak. 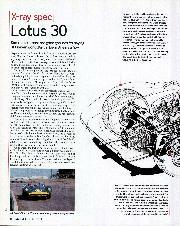 For this, Len and John Lambert, his associate since Lotus days, set up a new outfit called Design Auto, based in Poole. Here they drew up the Mirage M2, again using the BRM V12. Again the aerodynamics were done "by guess and by God"; though when the car was tunnel-tested later it was found to generate no lift at all. Len wasn't surprised: "I've always been an intuitive designer, I suppose because of my lack of formal education. I've always believed that what looks right, is right." Wyer was occupied with GT4Os in 1968 and it was over a year before the M2 took to the racetrack; by then increased tyre widths meant the suspension didn't suit. It was not very successful, although a Cosworth powered variant did win later. Being freelance means you can pick and choose your jobs; but as Terry was soon to discover, you are also prey to payment difficulties. He began work on a Formula 5000 design for the Nathans, but shelved it when no money arrived. Then John Surtees rang asking for an F5000 car. Perfect. The result was the car in which David Hobbs finished second in the 1969 US championship. And a variation of this chassis became the Formula Two car BMW asked him to design (we did that one last month — see what I mean about the constant phone calls?). It, too, briefly tasted success before the programme was canned. Gradually, Len realised that all these commissions brought one-off fees but no ongoing income, so he decided he should be building cars, too, and started Leda. (The moniker dates from ideas for naming the Eagle — LEn-DAn.) 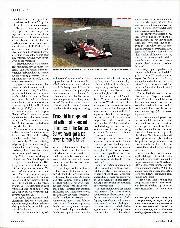 Project one was another F5000 car — a mistake, Len feels now. An F3 or F2 design might have sold better. To avoid angering Surtees, the F5000 had to be different in every aspect. Len tried, in his words, to be too clever, to cut costs with interchangeable parts all round; but this compromised the design in a world where costs were very high anyway. Attempts to find financial support went wrong: Graham McRae ended up with the company; Terry finished up out of work. After an attempt to sell build-it-yourself car plans failed, Len worked on a Porsche-powered silhouette Mini racer; when it won its championship, owner Tore Helle asked him to design him an F3 car, the Viking. Once again money ran short and a good design faltered, leaving Len out of pocket. 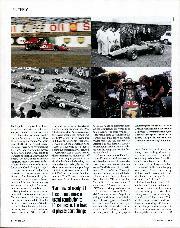 Next, that BRM VI2 came back into Terry's life: could he draw another Fl car to carry it? Answer: yes. But the P207 was not a happy collaboration. "There were people at BRM who didn't want it to succeed," says Terry, citing a build short cut which disrupted the cooling system. "I couldn't convince Louis Stanley I was right, and they only paid me when I threatened to sue." This finally turned Len off racing cars. Latterly his projects veered from Mercedes SSK replicas, through period-looking delivery vans, to a prototype sportscar that would have anticipated the Lotus Elise. That car's backers baled out at the last moment, making Terry redundant at the age of 68. 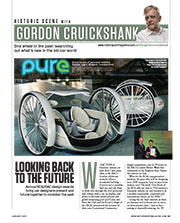 He would happily have gone on: "Even now, at nearly 80, I feel I could make a useful contribution to Fl car design. The laws of physics don't change." He's still watching, though: "Fl is not the sport I used to be interested in. It's too safe — no perceived danger, and that makes people drive like in touring cars. If I go to a race these days it's a VSCC or 750MC event." With his shelves spread with model cars (Dan sent him an Eagle at Christmas) he might be just another enthusiast. But the attic packed with technical drawings tells the real story.